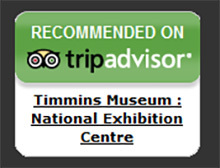 The Red and Black Galleries feature local historical exhibitions as well as travelling shows from across Canada. Our archives include over 20,000 images of the Porcupine area, with an emphasis on the early days of the Porcupine Gold Rush and the development of the mining communities. 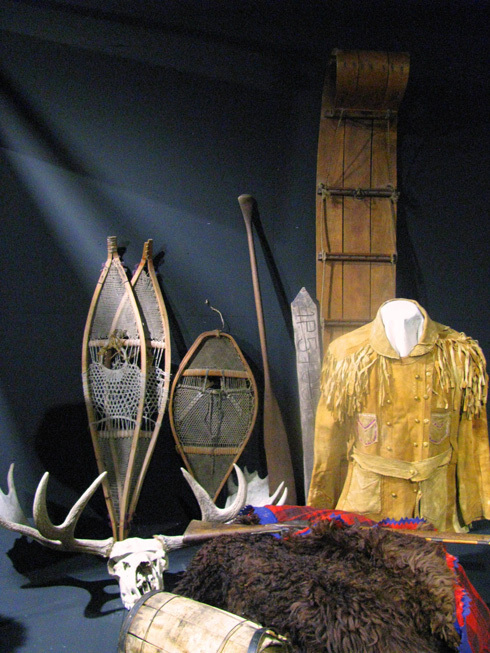 Our collection of artifacts helps to tell the story of the community and its residents. The museum offers bilingual (English and French) education programmes for grades one to twelve. We also offer adult learning opportunities through workshops, courses and lectures. The museum has a small library of documents related to our social and mining histories. Researchers are welcome to use our facilities; study time can be arranged. A trip to the museum would not be complete without a visit to our Museum Gift Shop. The shop specializes in items from around the world, but we also feature work by local artists and artisans. Unique souvenirs from the area are also available, while our children’s corner offers a variety of fun (and educational!) toys and games. The TM:NEC is open year round – admission is free!